Welcome to Natural-History-Conservation.com based in the UK. Advising on, or indeed organising and undertaking, the packing and transportation of individual specimens or entire collections. 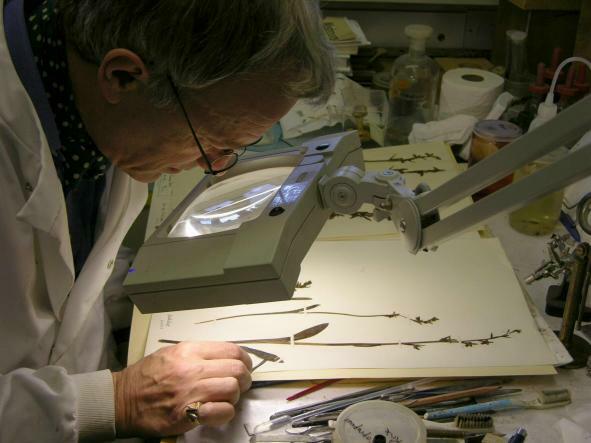 Undertaking remedial conservation projects, large or small, for all types of natural history specimens and collections. Click here for examples or see the lists below. click here for details of the next training course we are offering in taxidermy conservation (Reading, 14th to 16th of May 2019. ). click here for details of the next training course we are offering in the conservation of pinned insect specimens (Redaing University, 8th to 10th of April 2019.). We also provide moulding, casting and model-making services for displays and research. 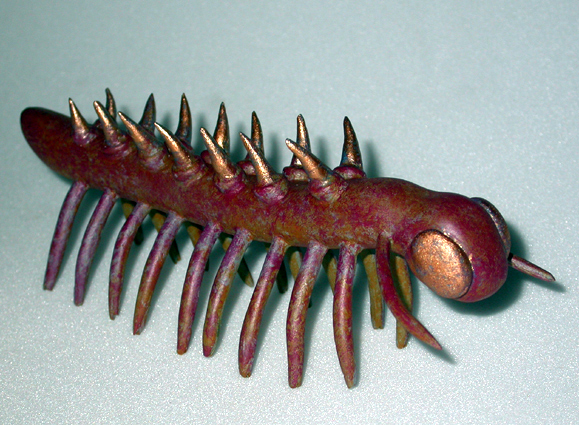 If you would like to see examples of recent work of this kind, please click for moulding and casting or for model-making. There are more details about us and our work on this webpage (clickhere! ), along with our contact details. Examples: If you would like to see examples of some of our recent conservation projects please select from the options below. 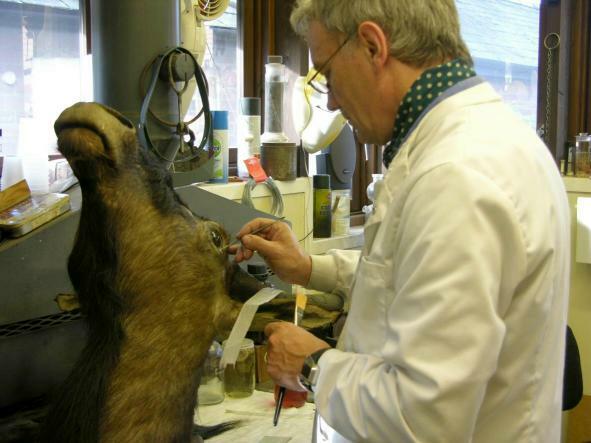 Three-day course on the conservation of taxidermy specimens. Delivering training in palaeontological preparation and conservation techniques for a week at Peterborough Museum. 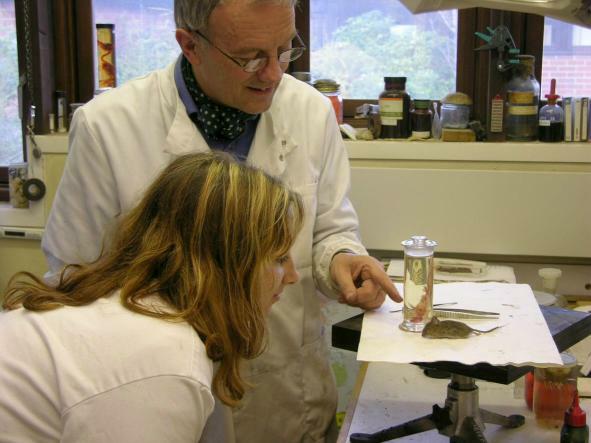 'Conservation of fluid-preserved specimens' courses delivered in 2014. Training in fluid-preservation techniques at Reading University’s Cole Museum of Zoology. Delivering three conservation courses in Melbourne and some consultancy work in Canberra, Australia. Simon Moore's four day fluid preservation course that took place at the Horniman Museum from the 12th to 15th December 2011. Alizarin transparency mounting project, preparing fluid-preserved specimens for display at the Grant Museum of Zoology, University College London. Cleaning, packing and moving a 115 year-old taxidermied adult male orangutan awkwardly stuck in a very fragile old nest of leaves. In a tree. With other nests. The conservation of taxidermy specimens at Great Chalfield Manor (near Melksham) May 2014. The conservation of an old Snow Leopard rug. 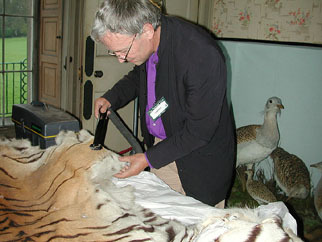 Cleaning and conserving polar bears, a sloth bear and a tiger skin at Somerleyton Hall. Dismantling and packing a very large diorama for the University of Cambridge Zoology Museum. The cleaning, conservation and repair of a large tortoise for UCL's Grant Museum of Zoology. Conserving taxidermy specimens for Ludlow Museum Resource Centre. Undertaking the conservation of specimens in Beatrix Potter's Natural History cabinet at Wray Castle in the Lake District. 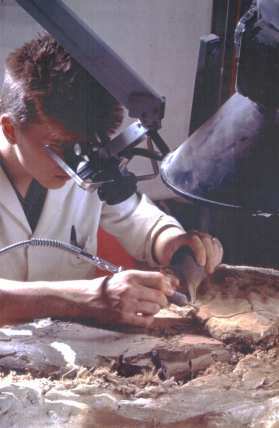 Repair of specimens at the Cuming Museum, London, after a bad fire. Repairing an elaborately decorated French fruit knife inlaid with nacre and mother of pearl etc. Repairing Arthur the Siberian Bear at Haslemere Educational Museum, Surrey. Conservation report and remedial treatment of specimens, the Stewart Museum, Pocklington. Assessing the collections of the Royal College of Surgeons (including the Hunterian Museum) to provide methodologies, costs and timings for a possible decant project. Conservation assessment of a large collection of historically and scientifically important ichthyosaur fosils (The Alfred Gillet Trust, Street). Undertaking a conservation assessment of the famous La Cotte de St Brelade fauna (Woolly Mammoths and Woolly Rhino etc) for Jersey Heritage. Assessing a large offsite geological store to provide methodologies, costs and timings for decanting and re-storing the collection. Assessing a large offsite museum store containing hundreds of thousands of archaeological and anthropological specimens to provide methodologies, costs and timings for decanting and re-storing the collection. Reviewing and identifying hundreds of fossils for Abingdon County Hall Museum, Oxfordshire, and designing an exhibition. Reviewing and identifying a thousand fossils for Exeter’s Royal Albert Memorial Museum. Undertaking a Conservation Assessment Survey of the geological collections at the University of Bangor. Undertaking a conservation assessment of the collections at the Lapworth Museum of Geology at Birmingham University to provide methodologies, costs and timings for decanting and re-storing the collections. Assessing skeletons on display in The University of Cambridge’s Museum of Zoology to provide methodology and costs for decanting during proposed refurbishment. Advising Colchester and Ipswich Museums in regards to packing, moving and re-storing their natural history collections (approx. 500,000 specimens). Assessing the preventive and remedial conservation needs of the Palaeontology collection at Doncaster Museum, and providing advice regarding recuration and storage. Collections surveys and 'Collection Level Descriptions'. Collection survey for York Museums Trust. 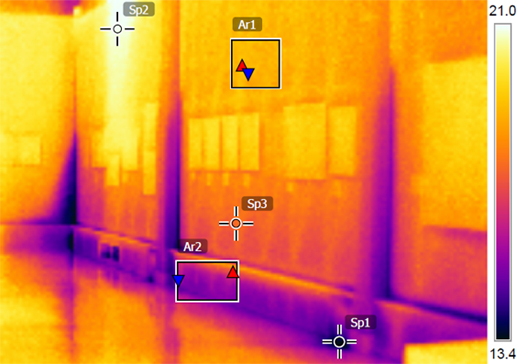 An infrared thermal imaging survey of a Tudor Hall museum, built in 1590, undertaken to consider ways to conserve energy and improve sustainability. Mounting an 8m-long fossil Pliosaur skeleton for display at Bristol City Museum, including replicating and mounting the 2m-long skull. PDF poster: 'The discovery of a rare neonate Ichthyosaurus communis skeleton at the Lapworth Museum of Geology and the research to determine its lost provenance'. A partial ichthyosaur skeleton from Skye reassembled, conserved and prepared for Edinburgh University and National Museums Scotland. Dismantling the large wall-mounted Wilmcote plesiosaur skeleton at Warwick Museum. 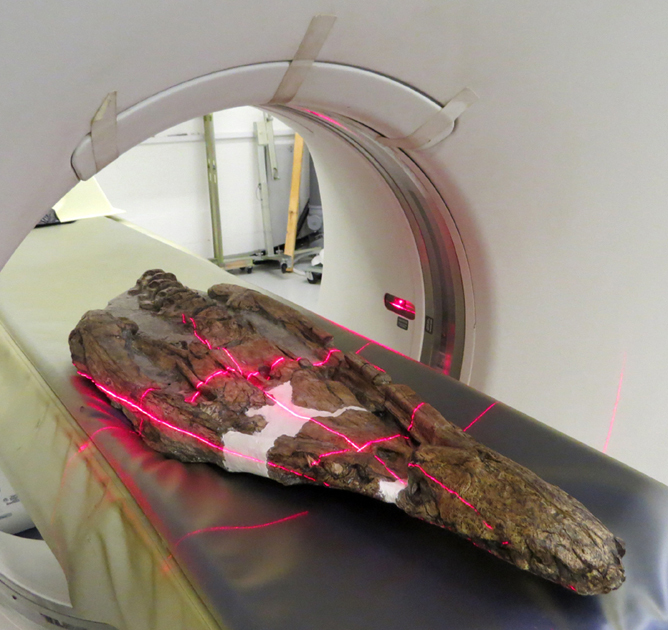 Cleaning, conserving and preparing the skeleton of Warwick Museum’s Wilmcote plesiosaur, plus CT scanning the skull for research and moulding the whole skeleton to produce a painted cast for display. Cleaning, dismantling and reconstructing a 3.5m long ichthyosaur skeleton for the Thinktank Museum, Birmingham, inlcuding CT scanning, microCT scanning and 3D printing bones. 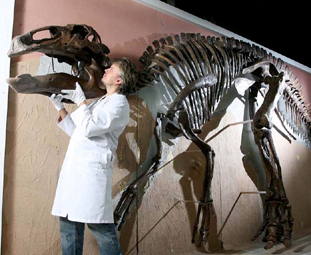 PDF Poster 'The discovery in a museum collection of the largest known skeleton of Ichthyosaurus in the world and its redisplay, including 3D-printing missing bones'. Restoration of the Victorian geology gallery at Biddulph Grange (National Trust property) near Stoke-on-Trent, Staffordshire, England. Conserving and remounting a framed ichthyosaur for the Sedgwick Museum of Earth Sciences, Cambridge University. PDF poster about conserving, preparing and investigating a new species of Jurassic ichthyosaur, presented at the SVPCA (Symposium on Vertebrate Palaeontology and Comparative Anatomy)meeting in York in September 2014. Conserving and recording a large Ichthyosaurus forelimb about to be described and published. Cleaning, conserving, repairing and remounting a complete ichthyosaur skeleton for Norfolk Museums and Archaeology Service. Conserving a framed teleosaur skull from the Liassic of Whitby. 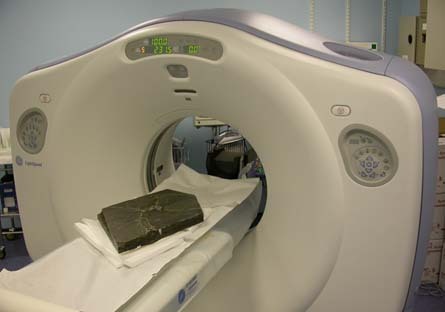 Preparation of a small fossil fish to remove as much matrix as possible to ready it for Micro-CT scanning and research. Repairing and installing an articulated Pteranodon skeleton, hanging from the ceiling. The preparation of strange fossil material for the Jurassic Coast World Heritage Team and Lyme Regis Museum. PDF poster of the above project: preparation of strange fossil material for the Jurassic Coast World Heritage Team and Lyme Regis Museum. The remedial conservation of specimens suffering from pyrite decay, and designing relevant preventive conservation protocols. 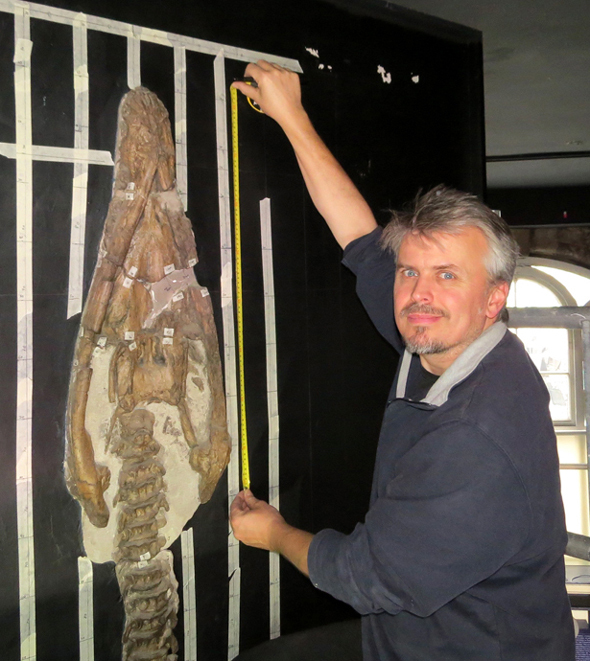 The conservation of a 7ft long ichthyosaur skeleton at Wells and Mendip Museum. 3D printing and mounting a replica of a fragile Woolly Mammoth tusk for Worcester Museum and Art Gallery. 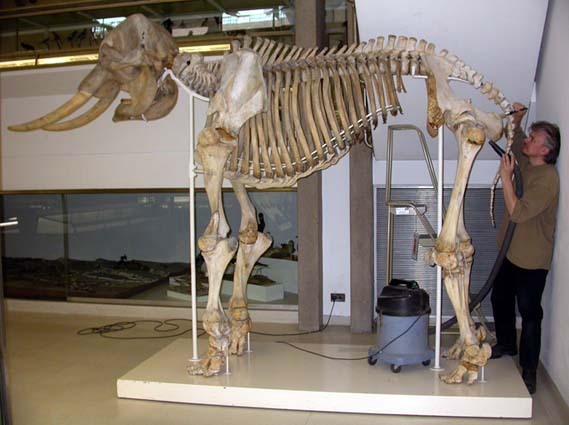 Liberating a Woolly Mammoth skull from its polyurethane fieldjacket for Jersey Heritage. Cleaning, conserving and mounting a large fragile Steppe Mammoth tusk for Nottingham's Natural History Museum, Wollaton Hall. Cleaning, conserving and mounting a Woolly Mammoth tusk for Worcestershire Archaeology. 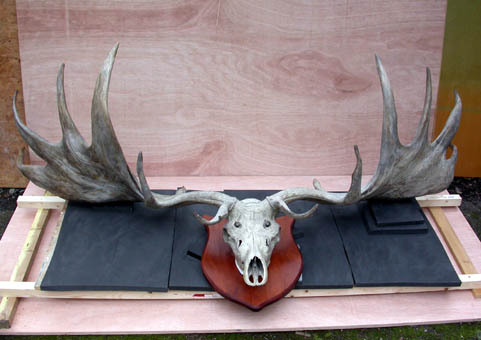 The conservation of a giant deer (‘Irish Elk’, Megaloceros giganteus) skull and antlers at Caledon, Northern Ireland. Cleaning, conserving and re-mounting the giant deer skull and antlers at the Sedgwick Museum of Earth Sciences, Cambridge. Assessing, cleaning, conserving, repairing and remounting two sets of Giant Deer skulls and antlers for Mount Stewart National Trust property, Northern Ireland. The cleaning, extensive repair, remounting and installation of an historically important Giant Deer for National Museums Scotland. The cleaning, conservation and mounting of a 12 metre-long fin whale skeleton for the Tullie House Museum, Carlisle. 'Japanese Tissue: some uses in osteological conservation'. PDF of a poster presented at NatSCA's Bone Day conference, 'Bone collections: using, conserving and understanding osteology in museums', 8th September 2015. The cleaning, conservation and remounting of a rare Quagga skeleton (Equus quagga quagga) for the UCL Grant Museum of Zoology. The cleaning, conservation and repair of a python skeleton for UCL's Grant Museum of Zoology. The cleaning, conservation and remounting of the Asian Water Buffalo (Bubalus bubalis) skull and horns at the Grant Museum of Zoology, UCL. 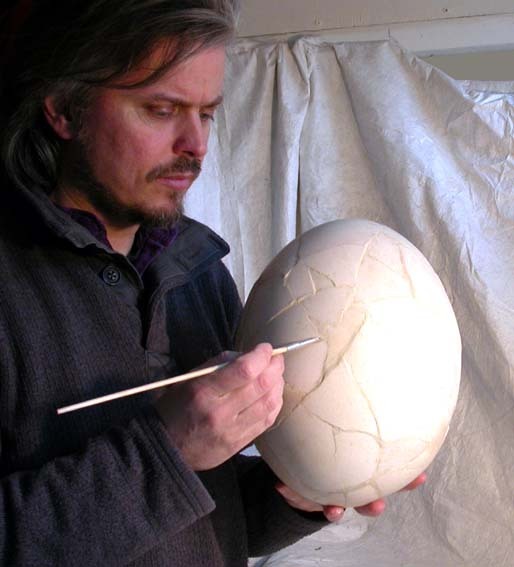 Cleaning, repairing and rebuilding a large broken Aepyornis egg. Cleaning scrimshaw on a dolphin skull, for the University of Cambridge’s Museum of Zoology. The conservation assessment of a mounted 70ft long finback whale skeleton, and advising on its cleaning, dismantling and remounting. The cleaning, conservation and dismantling of a 70 foot long Finback Whale skeleton in Cambridge, England. Moving the 2.5 tonne Finback whale skull again in Cambridge, England. The cleaning, repair and remounting of a badly damaged skeleton of a Heavy-Footed Moa, for Leeds Museums. Repairing the skeleton of "Bowed Joseph"
Cleaning the skeleton of Burke "The Bodysnatcher and Murderer"
The cleaning, conservation and mounting from scratch a large Asian elephant skeleton for Cambridge University Museum of Zoology. Cleaning, conserving and mounting a camel skeleton for Sheffield Museums, including replicating missing bones. The cleaning, conservation, mounting and installation of the large Stigmaria fossil ‘tree’ from Brymbo steel works in North Wales. PDF Poster version describing the cleaning, conservation, mounting and installation of the large Stigmaria fossil ‘tree’ from Brymbo steel works in North Wales. Cleaning and remounting a porpoise skeleton for Portsmouth City Museum. cleaning, conserving and re-mounting a rhino skeleton, for the Grant Museum of Zoology (University College London). Mounting the hind leg bones of a subfossil cave lion for Buxton Museum & Art Gallery. Cleaning and remounting a mole skeleton for Portsmouth City Museum. Cleaning, repairing and remounting three primate skeletons for the UCL Grant Museum of Zoology. Making a new metal mount to securely hold a narwhal tusk to a wall, for the Grant Museum of Zoology (University College London). Securing to the wall a large plaster cast of a pike caught by Ted Hughes, for Cambridge University. 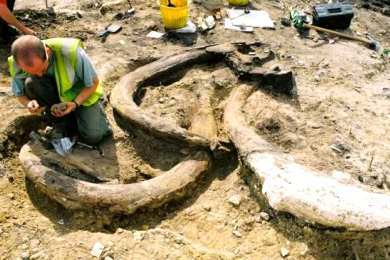 The conservation and repair of a late 19th Century whalebone arch in Dorset. Fieldwork logistics in the Antarctic, and excavating Holocene penguin sites. The conservation and rebuilding of a 143 year-old whalebone arch in the gardens of Cardigan Castle, Wales. Undertaking conservation assessments of whale bone arches. The cleaning of two whalebone arches for the Scool of Biomedical Sciences, University of Edinburgh. Making a mould of an ancient Etruscan head and casting copies for North Hertfordshire Museums Resource Centre. Making rhino horn replicas for the Powell-Cotton Museum at Quex Park, Kent, and installing them. Moulding (and making casts of) the long, thin, delicate fin rays of the largest bony fish ever to have lived! Leedsichthys, from the Jurassic period. Publications by Nigel Larkin in peer-reviewed journals etc. Publications by Simon Moore in publications in peer-reviewed journals etc. We are members of the Natural Sciences Collections Association and the Institute of Conservation (formerly United Kingdom Institute for Conservation of Historic and Artistic Works).